For Lunar Dust’s free downloadable and very fresh (just released!) album is out there to do some magic on listeners faces. It’s a funny relaxed chill out crazy experimental stuff with lots of recognizable samples and some vaguer ones. There is a all-round relaxed vibe that keeps the cats, Indians, yodeling cowboys, teapots, rapping parrots, little noises, vinyl scratches nicely together. Basically this is the down-tempo music that will come out of the speakers or headphones to tickle you under the arms with a relaxed state of easy groove riding funniness. From Clint Eastwood, typewriters that type and ring, werewolves, train travels, yawning cheekiness, laid back coffee machines.. It’s all there mixed like a perfect mélange to lounge in. It’s really a nice album that strangely knows how to make sense of all these normally odd sounds. 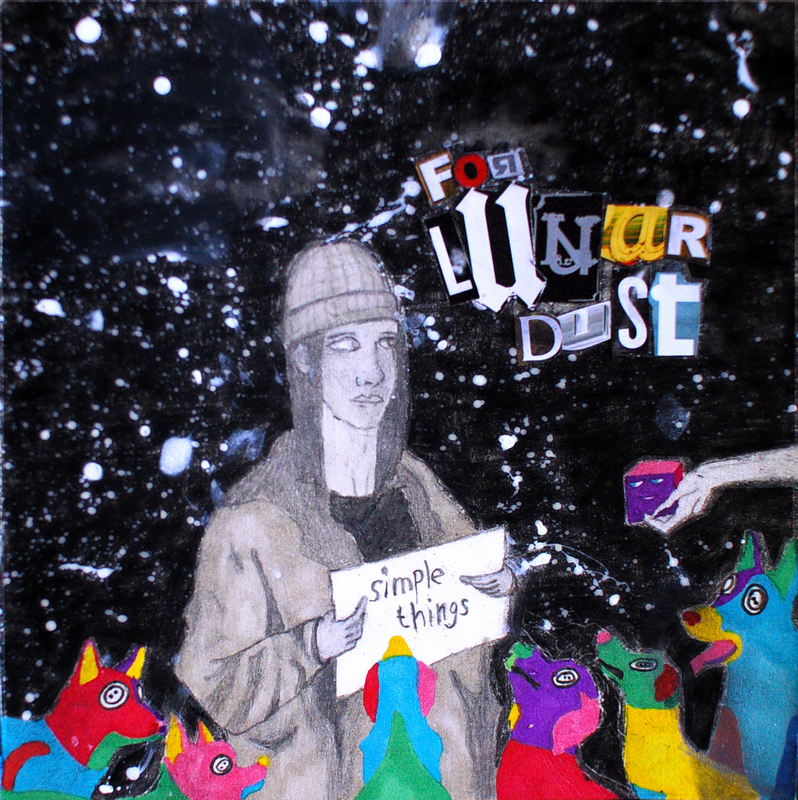 For Lunar Dust simply breaks down the crazy ingredients and reconstruct it into enjoyable ‘simple things’ that are easily digested by everyone, even the less adventurous music lover would probably dig this fun album! This entry was posted in acoustic, ambient, audio collage, chill out, electronic, experimental, folk, glitch, plunderphonics, pop, sirona, soundscape and tagged ambient, downtempo, experimental, psychedelic. Bookmark the permalink. Love this one! At first I thought it was a bit like the Avalanches, inspired by Pink Floyd and an interesting Pixies cover. But it is way more diverse and original ❤ Downloaded and listened it now for I think the 6th time. yeah!